Type - choose what type of product it is, you can choose from stock (default), labour, sublet repair, consumable, accessories, tyres. Service - Yes or No, if the product is a labour service then set to Yes. Supplier - type in the name of the supplier and then select it, this will then link the product to the supplier in your Supplier listing. Note: When setting up the product, be sure you set the 'Type' to Labour. 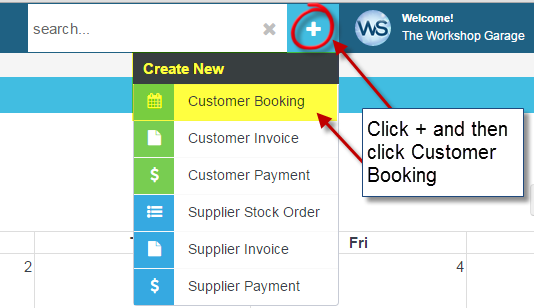 This will allow your booking to come up in the booking calendar.